Events from the year 2011 in Canada. January 1 – The Quebec Sales Tax (QST) rises 1 percentage point to 8.5%. January 12 – A stolen snowplow leads Toronto police on a chase, crashing into several cars. Toronto police officer Sergeant Ryan Russell died and the alleged thief ended in hospital with gunshot wounds. January 18 – Close to 12,000 people, including many Ontario Provincial Police and Royal Canadian Mounted Police gather near the Metro Toronto Convention Centre for the funeral of Sergeant Ryan Russell. January 21 – Three people die, and hundreds lose power after a winter storm strikes the Maritime Provinces. The former Liberal MLA Dave Taylor announces he is joining the Alberta Party, becoming the party's first MLA. January 25 – Ed Stelmach announces he will retire from provincial politics before the next general election of the Legislative Assembly of Alberta. February 1 – A claim at the British Columbia Worker's Compensation Board results in the SPCA and RCMP opening an investigation into a massacre of approximately 100 sled dogs at a Whistler adventure service. See Whistler sled dog cull. February 8 – Nearly 1,500 government lawyers and crown prosecutors go on strike in Quebec, claiming to be overworked and underpaid. February 19 – An explosion ruptures the Trans-Canada Pipeline in Beardmore, Ontario, forcing the temporary evacuation of the community. February 26 – Cult leader and killer Roch Thériault is killed at Dorchester Penitentiary in Dorchester, New Brunswick. February 27 – Stephen Harper announces that Canada will place additional sanctions against Libya along with those original announced by the UN, including asset freezes and a ban on financial transactions with the Libyan government. A wind storm off the coast of the British Columbia Lower Mainland brings wind gusts up to 140 kilometres per hour, knocking out power to 55,000 residents. HMCS Charlottetown (FFH 339), with a crew of 240, steams to Libya, for humanitarian assistance and evacuation. Dominic Cardy is chosen as the new leader of the New Democratic Party of New Brunswick. March 14 – Christy Clark is sworn in as premier of British Columbia, following a leadership election, causing British Columbia to become the first province with two female premiers, and the first time in Canadian history that three provinces or territories have simultaneously had female premiers (until October). March 19 – Prime Minister Stephen Harper, Foreign Affairs Minister Lawrence Cannon and Chief of the Defence Staff General Walt Natynczyk attend a meeting, in Paris, with leaders from France, Britain, the Arab League and the United Nations, to discuss the 2011 Libyan civil war. March 25 – Stephen Harper's Conservative government is defeated on a non-confidence vote by the opposition. April 15 – Liu Qian, a Chinese exchange student to York University is found undressed and murdered in her apartment. April 27 – The Premier of Yukon Dennis Fentie announces his retirement. May 2 – The 41st federal election is held with the Conservative Party winning a majority government, the NDP becoming the official opposition, both for the first time and Green Party leader Elizabeth May won the first ever elected seat for that party in the Canadian parliament. May 3 – Gilles Duceppe resigns as leader and president of the Bloc Québécois, and Vivian Barbot is named as the interim president. May 5 – The military arrives to aid with the flooding in Quebec caused by the Richelieu River overflowing its banks. May 15 – 16 – Wildfires destroy a large section of Slave Lake, Alberta, forcing 7,000 residents to evacuate. May 25 – Michael Ignatieff resigns as leader of the Liberal Party, and Bob Rae is chosen as interim leader. May 27 – A fire destroys an empty building, located at 4057 Richmond Road and owned by the National Capital Commission. Canada Post workers begin a rotating strike across the country after contract talks fall through. June 3 – Senate Page Brigette DePape interrupts the 41st Canadian Parliament Speech from the Throne, with her silent protest. June 6 – 120th anniversary of the death of John Alexander Macdonald. June 11 – Darrell Pasloski is sworn in as premier of Yukon, following a leadership election. Canada Post locks out CUPW employees, in a labour dispute. Riots break out in Downtown Vancouver after the Vancouver Canucks lose game 7 of the 2011 Stanley Cup Finals to the Boston Bruins. June 21 – Following the merger of their U.S. parent services in 2010, the satellite radio providers Sirius Canada and XM Radio Canada complete their own merger into Sirius XM Canada. June 13 – August 5 – British Columbia sales tax referendum, 2011 – The mail-in referendum was delayed due in part to the Canada Post lockout. July 6 – Steve Cardiff, Yukon MLA for Mount Lorne killed in a two-vehicle road accident, one kilometre north of Lewes Lake on the South Klondike Highway, involving a tractor trailer and a small vehicle. July 21 – A heat wave across Eastern Canada peaks with temperatures reaching as high as 37.1 degrees Celsius (humidex: 51 degrees Celsius) in Toronto, Ontario. July 22 – Montreal city officials report at least 10 heatwave-related deaths. July 25 – Leader of the Opposition, Jack Layton takes a medical leave of absence, and an interim leader of the New Democratic Party is appointed. August 13 – The federal government extends trade, travel and assets sanctions against Syria, in response to the oppression of anti-government protests. August 14 – A massive shooting occurs outside a casino in Kelowna, British Columbia, killing one and injuring four others, including a Hell's Angels member. Jonathan Bacon, one of the Bacon Brothers and one of the most notorious gangsters in British Columbia suspected to have been with the Red Scorpions, is the only one killed in the shooting. August 16 – Maritime Command, Land Force Command and Air Command are renamed to the Royal Canadian Navy, the Canadian Army, and the Royal Canadian Air Force, respectively. August 20 – First Air Flight 6560 crashes near Resolute Bay killing 12 people and injuring 3 others. August 21 – A powerful F3 tornado sweeps through Goderich, killing one man and causing substantial damage. August 22 – Jack Layton, 61, the Leader of the Opposition and Leader of the NDP dies of cancer. The flag atop the Peace Tower, as well as federal buildings in Toronto, fly their flags at half-mast. August 23 – An earthquake, originating in the American state of Virginia, is felt in areas across the country from Sudbury, Ontario to Fredericton, New Brunswick. There were no injuries nor damage in Canada. August 24 – A severe thunderstorm passed through Southern Ontario, causing a significant number of damage. Severe Thunderstorm Watches were issued for parts of Southern Ontario. A state funeral is held for Jack Layton. The CN Tower is illuminated in orange, overnight. September 22 – A float plane crashes into a street in Yellowknife killing both pilots on board. September – The Tutte Institute for Mathematics and Computing is given its current name. October 7 – Alison Redford is sworn in as premier of Alberta, following a leadership election, becoming Alberta's first female premier, and the first time in Canadian history that four provinces or territories have simultaneously had female premiers (until September 2012). October 26 – Bob McLeod becomes premier of Northwest Territories, replacing Floyd Roland. October 27 – A plane crash occurs outside of Vancouver International Airport after failing to land there. 11 people are injured as a result, and one person, the pilot, is killed. December 5 – Edmonton East MP Peter Goldring voluntarily leaves the Conservative caucus after being charged with refusing to provide a breath sample at a traffic stop. December 11 – Daniel Paillé is elected new leader of the Bloc Québécois. December 15 – Claresholm highway massacre: A mass shooting leaves three people dead, including two members of the Lethbridge Bulls baseball team, in a triple murder-suicide north of Claresholm, Alberta. June 15 - Boston Bruins win their sixth (and first since 1972) Stanley Cup by defeating the Vancouver Canucks 4 games to 3. The deciding Game 7 was played at Rogers Arena in Vancouver. Shortly before the Canucks' defeat, the 2011 Vancouver Stanley Cup riot broke out. May 2 – Danny Kassap, 28, Congolese-born long-distance runner (b. 1982). May 3 – Richie Hubbard, 78, politician (b. 1932). May 7 – Willard Boyle, 86, physicist (b. 1924). May 8 – Hilton Rosemarin, 58, set decorator (Three Men and a Baby, Cocktail, Jumper), brain cancer (b. 1952). Derek Boogaard, 28, hockey player (Wild, Rangers). (b. 1982). Wallace McCain, 81, businessman, co-founder of McCain Foods, pancreatic cancer. (b. 1930). Jack Richardson, 81, record producer (The Guess Who) (b. 1929). May 18 – John Fortino, 61, Italian-born businessman, founder of the Fortinos supermarket chain, cancer (b. 1950). May 19 – David H. Kelley, 87, American-born archaeologist (b. 1924). May 24 – Barry Potomski, 38, ice hockey player (b. 1972). Bill Harris, 79, baseball player (Brooklyn/Los Angeles Dodgers) (b. 1931). Alys Robi, 88, jazz singer (b. 1923). June 2 – Joel Rosenberg, 57, science fiction author, heart attack (b. 1954). June 3 – Bruce Crozier, 72, politician, Ontario MPP for Essex South (1993–1999) and Essex (since 1999), aortic aneurysm (b. 1938). June 8 – Paul Massie, 78, BAFTA-winning actor and theater professor (b. 1932). June 10 – Theo Dubois, 100, rower (b. 1911). June 12 – René Audet, 91, Roman Catholic prelate, Bishop of Joliette (1968–1990) (b. 1920). June 16 – Betty Fox, 71, cancer research activist, mother of Marathon of Hope starter Terry Fox (b. 1940). June 19 – John Kerr, Sr., 67, Scottish-born soccer player (b. 1943). June 21 – Robert Kroetsch, 83, poet and novelist (b. 1927). June 22 – Harley Hotchkiss, 83, businessman, member of Hockey Hall of Fame, prostate cancer (b. 1927). June 23 – Gaye Delorme, 64, musician, heart attack (b. 1947). June 26 – Barry Wilkins, 64, hockey player (Vancouver Canucks), lung cancer (b. 1947). ^ Lesley Ciarula Taylor; Curtis Rush (January 12, 2011). "Officer killed, driver shot in stolen snowplow 'rampage'". Toronto Star. Retrieved January 12, 2011. ^ "Fallen officer 'the best dad': widow". Canada: CBC News. January 18, 2010. Retrieved January 18, 2011. ^ Alphonso, Caroline; Melanson, Trevor; Patel, Arti (January 18, 2011). "Thousands attend service to honour slain Toronto officer". The Globe and Mail. Archived from the original on January 19, 2011. Retrieved January 18, 2011. ^ "3 dead in Maritime storm crashes". Canada: CBC News. January 22, 2011. Archived from the original on January 25, 2011. ^ "Consommation d'électricité record au Québec" (in French). January 24, 2011. Retrieved January 24, 2011. ^ "Quebec government lawyers strike". Canada: CBC. February 8, 2011. Archived from the original on February 11, 2011. Retrieved November 30, 2011. ^ "Pipeline blast forces evacuation of northern Ontario town". Toronto Star, February 20, 2011. ^ Cult leader Thériault killed in prison. ^ Canada To Ban All Financial Dealings With Libya. ^ Canada imposes additional Libyan sanctions. ^ "55,000 lose power in West Coast storm". Canada: CBC. March 2, 2011. Retrieved March 2, 2011. ^ "PM pledges $5M for Libya aid". Canada: CBC. March 2, 2011. Archived from the original on March 3, 2011. Retrieved March 2, 2011. ^ "Harper arrives for Libya summit in Paris". Canada: CBC. March 20, 2011. Retrieved March 19, 2011. ^ Government's defeat sets up election call. ^ Opposition brings down Canadian government Archived March 26, 2011, at the Wayback Machine. ^ AFP, Google (April 19, 2011). "Chinese woman killed on webcam was stalked: friend". Agence France-Presse. Retrieved April 19, 2011. ^ Gazette, Montreal (April 17, 2011). "Webcam captures fatal attack on York University student". The Montreal Gazette. Archived from the original on April 19, 2011. Retrieved April 19, 2011. ^ "Yukon premier to step down". CBC News. April 27, 2011. ^ "Leadership Roles". Parliament of Canada. Retrieved July 29, 2011. ^ "Présidence par intérim" (in French). Bloc Québécois. Archived from the original on June 14, 2011. Retrieved July 29, 2011. ^ "Military aids weary Que. flood victims". Canada: CBC. May 5, 2011. Retrieved November 30, 2011. ^ "Slave Lake firefighters struggle to save town". Canada: CBC. May 16, 2011. Retrieved November 30, 2011. ^ Fitzpatrick, Meagen (May 2011). "Liberals choose Rae as interim leader". Canadian Broadcasting Corporation. Retrieved May 26, 2011. ^ "Fire destroys NCC building". CBC News. May 28, 2011. ^ "Canada Post strike to start in Winnipeg". Globalnews.ca. June 2, 2011. Archived from the original on September 3, 2012. Retrieved November 30, 2011. ^ "Canada Post locks out workers". Canada: CBC. June 16, 2011. Archived from the original on July 13, 2011. Retrieved June 15, 2011. ^ "Canucks fans erupt in anger after loss". Canada: CBC. June 16, 2011. Retrieved November 30, 2011. ^ "Sirius Canada and XM Canada Complete Merger". Broadcaster, June 21, 2011. ^ "Yukon NDP MLA killed in crash". Canada: CBC. July 6, 2011. Archived from the original on July 10, 2011. Retrieved July 7, 2011. ^ "Ontario heat wave breaks temperature records". Canada: CBC. July 22, 2011. Archived from the original on July 21, 2011. Retrieved July 21, 2011. ^ "Quebec deaths linked to heat wave". Canada: CBC. July 23, 2011. ^ "Layton stepping aside as he battles new cancer". CTV.ca. July 25, 2011. ^ "Canada extends Syria sanctions". Canada: CBC. August 13, 2011. Retrieved August 14, 2011. ^ "Plane crash near Resolute Bay kills 12". Canada: CBC. August 20, 2011. Retrieved November 30, 2011. ^ "1 dead after tornado hits Ont. community". Canada.com. August 21, 2011. Retrieved November 30, 2011. ^ "Jack Layton dead of cancer at 61". Canada: CBC. August 23, 2011. Retrieved August 22, 2011. ^ "Virginia earthquake's tremors felt far and wide". Canada: CBC. August 23, 2011. Retrieved August 25, 2011. ^ "CN Tower to turn orange for Layton". Canada: CBC. August 24, 2011. Archived from the original on August 26, 2011. Retrieved August 25, 2011. ^ "Yellowknife crash pilots identified". Canada: CBC. September 23, 2011. Retrieved November 30, 2011. ^ "Edmonton MP charged with refusing to give breath sample". CBC News. December 5, 2011. Retrieved December 5, 2011. ^ "Claresholm murder-suicide leaves four dead, one in hospital". Calgary Herald. December 16, 2011. Retrieved December 17, 2011. ^ "UHN Research: Dr. Ernest McCulloch (1926–2011)". Uhnres.utoronto.ca. January 21, 2011. Retrieved March 16, 2011. ^ Jose Kusugak, Nunavut’s cheerful muse, dies at 60. Nunatsiaq Online, January 19, 2011. ^ Tait, Ed (January 24, 2011). "Former Blue Bomber Herb Gray dies at age 76". Winnipeg Free Press. Retrieved March 16, 2011. ^ "Rene Piche, former Kap mayor, dies". Northernontariobusiness.com. Archived from the original on February 8, 2011. Retrieved March 16, 2011. ^ "Principal dancer Lois Smith dies". Canada: CBC. January 24, 2011. Archived from the original on May 2, 2014. Retrieved March 16, 2011. ^ PAUL FRIESEN. "Sportswriting legend Jack Matheson dead at 86". Winnipeg Sun. Retrieved March 16, 2011. ^ "CTV Montreal – Audrey Best succumbs to breast cancer – CTV News". Montreal.ctv.ca. Retrieved March 16, 2011. ^ "B.C. singer Megan McNeil dies after battle with cancer". Theprovince.com. January 29, 2011. Retrieved March 16, 2011. ^ Carrigg, David (February 3, 2011). "Eric Nicol passes away at 91 with children by his side". Theprovince.com. Archived from the original on February 15, 2011. Retrieved March 16, 2011. ^ "Ron Piché rend l'âme à l'âge de 75 ans". RDS.ca (in French). February 3, 2011. Retrieved July 15, 2014. ^ "Tough and fast, local legend Fred Speck dies". TheSpec. February 15, 2011. Archived from the original on July 17, 2011. Retrieved March 16, 2011. ^ Lampert, Allison (February 12, 2011). "Montreal rapper Bad News Brown had no known enemies: family". Montrealgazette.com. Archived from the original on February 15, 2011. Retrieved March 16, 2011. ^ Canadian, The (February 20, 2011). "'Goin' Down the Road' actress Cayle Chernin dies after cancer battle". Winnipeg Free Press. Retrieved March 16, 2011. ^ "Deaths – March 16, 2011". Tulsa World. Retrieved March 16, 2011. ^ Hall, Joseph (March 1, 2011). "Legendary Star reporter Robert Reguly dies". Toronto Star. Retrieved March 16, 2011. ^ "CTV Montreal – Cult leader Roch Theriault dead in jail – CTV News". Montreal.ctv.ca. Retrieved March 16, 2011. ^ "B.C. attorney general who made controversial Clifford Olson deal dies". Theprovince.com. February 28, 2011. Retrieved March 16, 2011. ^ Block, Irwin (March 4, 2011). "Former Westmount mayor dies at 87". Montrealgazette.com. Archived from the original on March 6, 2011. Retrieved March 16, 2011. ^ "Star columnist Jim Travers dies". Toronto Star, March 3, 2011. ^ "Diane Bourgeois on Marie-Andrée Bertrand". openparliament.ca. March 8, 2011. Retrieved March 16, 2011. ^ "Bronko Nagurski Jr. dead at 73". TheSpec.com. March 8, 2011. Retrieved March 16, 2011. ^ "Former NHL player Harbaruk dies". CBCSports. March 15, 2011. Retrieved April 30, 2014. ^ Judith H. Dobrzynski (March 12, 2011). "Donny George Youkhanna, RIP – UPDATED". Artsjournal.com. Archived from the original on May 11, 2011. Retrieved November 30, 2011. ^ "Author Olive Patricia Dickason dies at 91". Toronto Star. The Canadian Press. March 12, 2011. Retrieved March 16, 2011. ^ Mulgrew, Ian. "A trail-blazing judge remembered". The Vancouver Sun. Archived from the original on March 19, 2011. Retrieved March 16, 2011. ^ "Former Sabre Rick Martin passes away". Tsn.ca. Retrieved March 16, 2011. ^ Hevesi, Dennis (March 21, 2011). "G. Alan Marlatt, Advocate for Shift in Addiction Treatment, Dies at 69". The New York Times. ^ "Kirk Wipper founded canoe museum". Peterborough Examiner. Retrieved April 8, 2011. ^ Boisvert, Richard (2011). "Le pianiste Victor Bouchard s'éteint à la veille de ses 85 ans". Le Soleil (Quebec) (in French). Retrieved July 15, 2014. ^ "Activist Dudley Laws passes away from kidney disease". CTV Toronto. March 24, 2011. Retrieved November 30, 2011. ^ "Roger Abbott of Royal Canadian Air Farce dies at 64". The Globe and Mail. Toronto, Ontario, Canada. Retrieved November 30, 2011. ^ "Former Alta. NDP leader Neil Reimer dies". CBC News. March 30, 2011. Archived from the original on April 2, 2011. ^ "Respected MP, football coach James McNulty dies – St. Catharines Standard, Niagara Region, Sun Media – Ontario, California". Stcatharinesstandard.ca. Retrieved November 30, 2011. ^ "Former Yale hockey player Mandi Schwartz dies at 23". ESPN. April 5, 2011. Retrieved November 30, 2011. ^ Ogilvie, Megan (April 3, 2011). "Obituary: Lawyer John A. Tory guided Canada's mightiest men". The Star. Toronto. ^ "Canadian Actor Wayne Robson Has Died". Theatermania.com. April 6, 2011. Retrieved November 30, 2011. ^ "Juno Award Winning Singer-songwriter John Bottomley Dies Unexpectedly at age 50". Newswire.ca. Archived from the original on April 27, 2011. Retrieved November 30, 2011. ^ "Pierre Gauvreau s'éteint". Radio-Canada.ca. Retrieved November 30, 2011. ^ "NHL Scouting VP EJ McGuire passes away". NHL.com. Retrieved November 30, 2011. ^ Bernstein, Adam (April 14, 2011). "Arts patron, industrialist Sidney Harman dies at 92". The Washington Post. ^ "Bishop Jean Gratton". Catholic-Hierarchy.org. David M. Cheney. Retrieved January 23, 2015. ^ "Serge LeClerc, former Sask. MLA, dies". CBC News. April 16, 2011. Retrieved April 16, 2011. ^ "Ulla Ryghe". The Globe and Mail. April 23, 2011. Retrieved October 15, 2017. ^ "Access denied - Jobspress". July 9, 2012. Archived from the original on July 9, 2012. Retrieved July 14, 2018. ^ "Cooking show celebrity Ken Kostick dies". CBC News. April 23, 2011. Archived from the original on April 25, 2011. ^ "28-year old runner Danny Kassap dies day after quitting race". ESPN. May 3, 2011. Retrieved November 30, 2011. ^ "Hilton Rosemarin dies at 58". Variety. May 12, 2011. ^ "Ranger forward Boogaard dead at age 28 – NHL.com – News". NHL.com. May 14, 2011. Retrieved November 30, 2011. ^ "Supermarket founder dead at 76". TheSpec. May 19, 2011. Retrieved November 30, 2011. ^ "DAVID HUMISTON KELLEY". Globe and Mail. Toronto. May 23, 2011. ^ "Ex-NHLer Potomski dies in Windsor". Archived from the original on May 25, 2011. Retrieved May 26, 2011. ^ "Décès d'Alys Robi". Radio-Canada.ca. May 28, 2011. Retrieved November 30, 2011. ^ Joel Rosenberg (June 3, 2011). "SF Site News » Obituary: Joel Rosenberg". Sfsite.com. Retrieved November 30, 2011. ^ Benzie, Robert (June 4, 2011). "Retiring Liberal MPP Bruce Crozier dead". The Star. Toronto. ^ Dagan, Carmel (June 16, 2011). "Paul Massie dies at 78". Variety. ^ Bender, Jim (June 14, 2011). "Rowing legend dead at 100". Winnipeg Sun. Retrieved November 30, 2011. ^ "Bishop René Audet". Catholic-Hierarchy.org. David M. Cheney. Retrieved January 23, 2015. ^ "Betty Fox, mother of Canadian hero Terry Fox, has died". Tsn.ca. Retrieved November 30, 2011. ^ Goff, Steven (June 20, 2011). "Stats, scores and schedules". The Washington Post. ^ "Robert Kroetsch, acclaimed Canadian author, dies in Alberta crash". The Globe and Mail. June 22, 2011. ^ "Philanthropist, Flames owner Hotchkiss dies". CBC News. June 22, 2011. Retrieved November 30, 2011. ^ David Murray (June 28, 2011). "Sports: Vancouver Canuck 1st Ever Goal Scorer-Barry Wilkins Dies Sunday". PittMeadowsToday.com. Retrieved November 30, 2011. ^ "Wes Covington sparked '57 Braves". JSOnline. July 5, 2011. Retrieved November 30, 2011. ^ "Composer Malcolm Forsyth dies at 74". CBC News. July 5, 2011. Retrieved April 30, 2014. ^ Wherry, Aaron (July 8, 2011). "In memoriam – Beyond The Commons, Capital Read". Macleans.ca. Retrieved November 30, 2011. ^ "ALEKSIS DREIMANIS". Globe and Mail. Toronto. July 12, 2011. ^ "Pierrette Alarie-Simoneau of Victoria, Obituary". mccallbros.com. July 11, 2011. Retrieved July 15, 2014. ^ "PASSINGS: Leo Kirch, Roland Petit, Cal Montney, Lee Vines, Googie Withers, Frank Billerbeck". Los Angeles Times. ^ "Edmonton author Gloria Sawai dies at 78". CBC News. July 21, 2011. ^ Knelman, Martin (July 22, 2011). "Elwy Yost, host of Saturday Night at the Movies, dies at 85". The Star. Toronto. ^ "Notable Canadian deaths in 2011: Jack Layton, Betty Fox and NHL enforcers". CBC News. December 23, 2011. ^ "Bishop Paul Marchand, S.M.M." Catholic-Hierarchy.org. David M. Cheney. Retrieved January 23, 2015. ^ Bergan, Ronald (July 28, 2011). "Silvio Narizzano obituary". The Guardian. London. ^ "Archbishop Francis John Spence". Catholic-Hierarchy.org. David M. Cheney. Retrieved January 23, 2015. ^ Nease, Kristy (August 4, 2011). "William Commanda, Algonquin spiritual leader, dead at 97". Ottawacitizen.com. Retrieved November 30, 2011. ^ "Former Argos star Royal Copeland passes away at 86". Tsn.ca. Retrieved November 30, 2011. ^ Dale, Daniel (August 11, 2011). "Prostitute turned Osgoode law student found dead". The Star. Toronto. ^ "Archbishop Austin-Emile Burke". Catholic-Hierarchy.org. David M. Cheney. Retrieved January 23, 2015. ^ Associated, The (August 16, 2011). "Reflecting on Rypien". The Score. Retrieved November 30, 2011. ^ "Simon de Jong, former Regina NDP MP, dies at 69". nextyearcountrynews.blogspot.co.uk. Retrieved April 30, 2014. ^ "Le monde de la culture rend hommage à Gil Courtemanche". Radio-Canada.ca. August 19, 2011. Retrieved November 30, 2011. ^ "Jack Layton, 61, dies after struggle with cancer". CTV News. Retrieved November 30, 2011. ^ "Toronto's Cardinal Ambrozic dies". CBC News. August 26, 2011. ^ "Longtime Devils scout Widdifield dies at 86 – NHL.com – News". NHL.com. Retrieved November 30, 2011. ^ Robertson, Ian. "Ex-NHLer Belak found dead". Toronto Sun. Retrieved November 30, 2011. ^ "Former Nova Scotia Parliamentarian Robert Muir dies at 91". CBC News. September 2, 2011. ^ "Edgar John Benson – Obituaries – Kingston, ON – Your Life Moments". Yourlifemoments.ca. Retrieved November 30, 2011. ^ "Ex-NHLers Brad McCrimmon, Ruslan Salei, Pavol Demitra on downed plane: reports". Montrealgazette.com. September 8, 2011. Retrieved November 30, 2011. ^ Reuters staff (September 7, 2011). "Hockey team on crashed Russian plane, 44 dead". Times Colonist. Victoria, British Columbia, Canada. Retrieved September 7, 2011. ^ "CKNW AM 980: News. Talk. Sports. CKNW AM980 – Edmonton News". Cknw.com. October 9, 2011. Archived from the original on October 10, 2011. Retrieved November 30, 2011. ^ "Canada news: Former allrounder Cecil Marshall dies aged 71". ESPN Cricinfo. Retrieved November 30, 2011. ^ "Canada's Toy Industry Mourns Famous Puzz 3D Inventor". TOYS & GAMES MAGAZINE. September 14, 2011. Archived from the original on September 23, 2011. Retrieved November 30, 2011. ^ Penton, Kirk. "Bombers great Tinsley dead at 87". Toronto Sun. Retrieved August 10, 2012. ^ Claire Noland (September 16, 2011). "Character actress Frances Bay dies at 92". Latimesblogs.latimes.com. Retrieved November 30, 2011. ^ Woo, Elaine (September 29, 2011). "Mo Rothman obituary: Studio executive helped spark interest in Charlie Chaplin films". Los Angeles Times. Retrieved November 30, 2011. ^ "Roger Belanger remembered in loving tribute] Welland Tribune, Niagara Region". Archived from the original on September 26, 2011. Retrieved November 30, 2011. 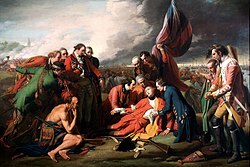 ^ "'Baby Joseph' Dies in His Canadian Home Surrounded by Family". Fox News. September 28, 2011. ^ "Clifford Olson funeral to be 'low key' – Canada – CBC News". Canada: CBC. October 1, 2011. Retrieved November 30, 2011. ^ "BBC News – Late Nobel medicine laureate Ralph Steinman keeps award". BBC. October 3, 2011. Retrieved November 30, 2011. ^ "This page is available to GlobePlus subscribers". The Globe and Mail. Toronto, Ontario, Canada. Retrieved November 30, 2011. ^ Tapper, Josh (October 10, 2011). "Toronto News: Dr. Robert Buckman, renowned oncologist, comedian and Star columnist, dead at 63". Toronto Star. Retrieved November 30, 2011. ^ "Canadian Olympic official James Worrall dies at 97 – Olympics". ESPN. October 10, 2011. Retrieved November 30, 2011. ^ Weber, Bruce (October 19, 2011). "Barbara Kent, Silent-Film Star, Dies at 103". The New York Times. ^ "Former Liberal MP Reg Alcock dies at 63 – Politics – CBC News". Canada: CBC. October 14, 2011. Retrieved November 30, 2011. ^ "Ottawa Sun journalist Earl McRae dies". Ottawacitizen.com. October 15, 2011. Archived from the original on January 15, 2012. Retrieved November 30, 2011. ^ "Trudeau-era minister Barney Danson dies". CBC News. Canada. The Canadian Press. October 18, 2011. Retrieved November 30, 2011. ^ "Canadian Football Hall of Fame receiver Grant passes away". Montrealgazette.com. October 18, 2011. Archived from the original on November 26, 2011. Retrieved November 30, 2011. ^ "This page is available to GlobePlus subscribers". The Globe and Mail. Toronto, Ontario, Canada. October 24, 2011. Retrieved November 30, 2011. ^ AT (October 25, 2011). "Former MLA Huskilson dies at 91 – Nova Scotia – CBC News". Canada: CBC. Retrieved November 30, 2011. ^ Carol Jones-Packwood (November 6, 2011). "World Cup Qualifier Suspended as Hickstead Dies". Horse Canada. Retrieved November 30, 2011. ^ "Newly Appointed Haitian Minister of Culture Dies at 51". The Haiti Sentinel. November 12, 2011. Archived from the original on July 19, 2014. Retrieved July 15, 2014. ^ AT (November 14, 2011). "Curling champ Jim Sullivan dies – New Brunswick – CBC News". Canada: CBC. Retrieved November 30, 2011. ^ "Tom Kent, who led 1980 inquiry into newspaper ownership, dead at 89". Macleans.ca. The Canadian Press. November 16, 2011. Archived from the original on June 3, 2012. Retrieved November 30, 2011. ^ Rushowy, Kristin (November 17, 2011). "Toronto News: Dr. Fraser Mustard, world-renowned for work in early childhood development". Toronto Star. Retrieved November 30, 2011. ^ Stubbs, Dave (November 17, 2011). "Longtime Montreal Canadiens equipment manager Eddy Palchak dies at 71". Montrealgazette.com. Archived from the original on November 19, 2011. Retrieved November 30, 2011. ^ "Francis Higginson Cabot Obituary: View Francis Cabot's Obituary by Concord Monitor". Legacy.com. November 19, 2011. Retrieved November 30, 2011. ^ Welch, Craig (November 22, 2011). "Former Seattle Mayor Gordon Clinton dies". Seattle Times. Archived from the original on November 26, 2011. Retrieved November 30, 2011. ^ "Actor John Neville dies at 86 – Arts & Entertainment – CBC News". Canada: CBC. The Canadian Press. November 21, 2011. Retrieved November 30, 2011. ^ "Ambassador loved work, adventure, family". Archived from the original on November 27, 2011. Retrieved December 20, 2011. ^ Writer, Staff (November 22, 2011). "Business community loses a patriarch with Albert Cohen's passing". Winnipeg Free Press. Retrieved November 30, 2011. ^ "Prince Hal was truly one of the greats". TheSpec. November 22, 2011. Archived from the original on November 29, 2011. Retrieved November 30, 2011. ^ "High-ranking mobster Salvatore Montagna murdered". CTV Montreal. Retrieved November 30, 2011. ^ "June BHATIA Obituary: View June BHATIA's Obituary by Edmonton Journal". Legacy.com. Retrieved August 10, 2012. ^ nurun.com (November 28, 2011). "Political pioneer Jean Wadds of Prescott dies". Brockville Recorder. Retrieved August 10, 2012. ^ "Former Whitby Dunlops great Fred Etcher dies". DurhamRegion Article. December 1, 2011. Retrieved August 10, 2012. ^ Lankhof, Bill (November 27, 2011). "Ex-Argo Harrington, 70, dies". Toronto Sun. Retrieved August 10, 2012. ^ "Woman who was oldest living Canadian dies at 112". CBC News. December 13, 2011. ^ "Charles Russell: obituary and death notice on InMemoriam". Inmemoriam.ca. Retrieved August 10, 2012. ^ "Parliamentarian File – Complete File – KNOWLES, John Evans". PARLINFO. Retrieved August 10, 2012. ^ "ERNEST ALFRED WATKINSON". Globe and Mail. Toronto. ^ Adams, Gregory. "Woods of Ypres Singer David Gold Dies at 31". Exclaim.ca. Retrieved August 10, 2012. ^ "In Memoriam: Michael von Grunau". Computer Vision News. December 28, 2011. Retrieved August 10, 2012. ^ "The Chronicle Herald". thechronicleherald.ca. ^ "Former NHLer Johnny Wilson dies". Slam.canoe.ca. December 27, 2011. Retrieved August 10, 2012. ^ Kenneally, Tim. "Doug Sellars, Fox Sports Media Group EVP, Dies at 50". TheWrap TV. Retrieved August 10, 2012.